The winds of change continue to blow within the healthcare system. The full impact of the 2016 presidential election is still unknown, but there is a key issue to keep on your radar as we enter 2017. Value-based healthcare is a reality, and its far-reaching impact needs to be front and center on your radar for 2017. The acronyms MACRA (Medicare Access and CHIP Reauthorization Act), MIPS (Merit-Based Incentive Payment System), and APMs (Alternative Payment Models) should not be foreign to any healthcare administrator. January 1, 2017, begins the “performance year” for any financial adjustments that will be made to physician reimbursement in 2019. As with the previous Physician Quality Reporting System, data are collected in year 1, analyzed in year 2, and the impact of the analysis is in year 3. MACRA of 2015 remains the vehicle driving many of the new reimbursement changes. Reimbursement will be determined through the Quality Payment Program, which comprises 2 tracks—MIPS or APM—each with its own reporting requirements and opportunities. Although the Centers for Medicare & Medicaid Services (CMS) developed 4 options for participating in the Quality Payment Program, unless eligible providers successfully report for a minimum of 90 days within 2017, they will have a 4% negative adjustment to their CMS reimbursement for 2019. The key to success under the MIPS or APM track lies in the ability to define your patient mix by clinical conditions. The Clinical Practice Improvement Activities (CPIA) component of MACRA highlights the need to see patients beyond their primary diagnosis. Each of the >90 measures of CPIA focus on managing the patient and coordinating community services to meet the needs of the patient, perhaps beyond the traditional treatment plan. Can you define the unique characteristics of your patient population? How do you identify your vulnerable patients? How are treatment needs being tailored, and how do you address these unique needs? What additional resources have been identified within the community to meet the unique needs of your patients? System capabilities must remain on the radar. What data can be mined within your practice to answer these questions? Can the data be mined by the provider, across locations, by place of service? 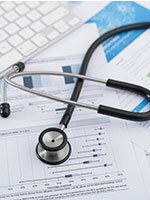 Needing to compare the costs of providing care with the specific diagnosis codes that are typically in the billing system may challenge your current platform. CPIA includes measures that move those system capabilities one step further. “Beneficiary engagement” is more than having only a patient portal for patients to obtain their recent test results. This portal would allow access to up-to-date information that is associated with relevant chronic disease–related health or blood pressure control, and includes interactive features so patients can enter their health information, and/or to enable bidirectional communication regarding medication changes and adherence. Such electronic exchange of information may also, based on your geographic setting, place telemedicine on your radar for 2017. It is important to understand the differences between telehealth, telemedicine, and teleconsultations. This interactive system is an example of meeting the unique needs of targeted patient demographics. The Current Procedural Terminology code set for 2017 includes designated services that can be reported as telemedicine using new modifiers such as –95. As you begin the new year, continue to be diligent in reducing the number of unspecified diagnosis codes, and ensure that the codes specific to identifying risk factors within your patient population are also captured. Consider the opportunity to “code” certain aspects of a patient’s medical history, or a socioeconomic situation as a static field that reduces the need to individually select that code with each encounter. The year 2017 brings new topics that may influence your practice and may selectively need to remain on your radar. Pharmacy benefit managers continue the battle with in-network and out-of-network dispensaries. The cost of medications to practices and to patients is an ongoing challenge. The discussion of site-neutral care is very much a political issue. CMS released the final rule on MACRA on October 14, 2016,2 which stops paying hospital off-campus facilities the same amount as hospital-based outpatient departments if they started billing Medicare after November 2, 2015. This change will make it difficult for health systems to recoup capital or operational costs for off-site facilities, even though they are responsible for continuing to equip and maintain the off-campus offices. Whether this will slow the pace of hospital systems acquiring community-based practices has yet to be seen. The impact of the new administration on the CMS final rule is also only a prediction at this point. Each day, many of us check our local weather forecast, sometimes before we are out of bed in the morning. We make adjustments based on that forecast to our daily activities or to the clothing choices we make. There are apps on our phones to alert us to impending storms and sudden shifts in the predictions. Healthcare is only slightly different. Be sure that you have routine access to those “stations” you know will provide reliable healthcare information for the period ahead. Anticipate the seasons of change within healthcare, and prepare for repetitive activities that may affect your workflow. Keep a watch on the extended forecast, but be adaptable enough for any sudden shifts in the wind. Medicaid. Telemedicine. www.medicaid.gov/medicaid/benefits/telemed/index.html. Accessed November 21, 2016. Centers for Medicare & Medicaid Services. Final rule executive summary. October 14, 2016. https://qpp.cms.gov/docs/QPP_Executive_Summary_of_Final_Rule.pdf. Accessed December 10, 2016.